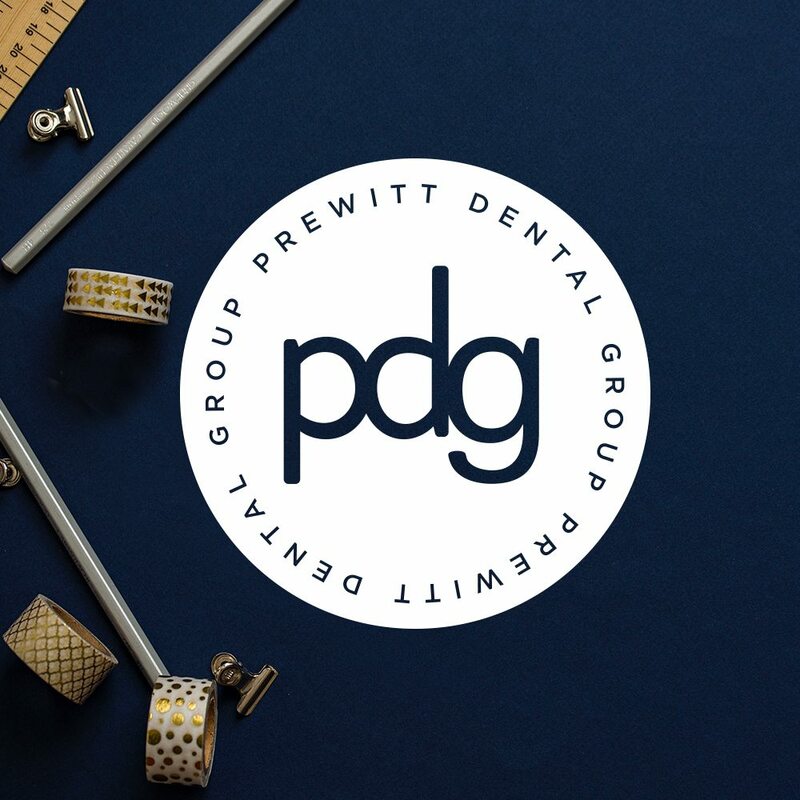 We’ve been lucky enough to work with Dr. Regan Prewitt with Prewitt Dental Group for years. 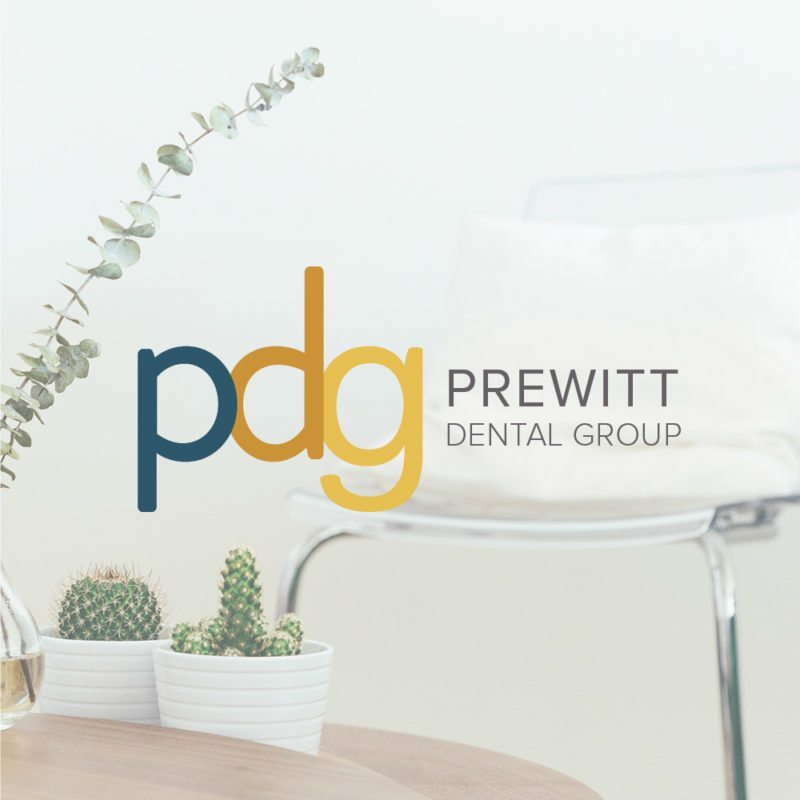 We created Dr. Prewitt’s website originally back in 2012 and she’s been rocking it ever since. But with the ever changing web world – along with the growth of her business (and team) in general , it was due time for a bit of a refresh. We started the project by assessing the current brand and brainstorming a new look and feel that better fit the modern, more sophisticated brand that we were working with. The logo design includes a clean sans-serif typeface with pops of dusty-blue, burnt-orange, and golden-yellow. The new brand fits their new endeavors in dentistry. Take a look! Take a look at the full brand board packed full of inspiration to set the tone for the brand design and identity as a whole. Fresh, clean and approachable! 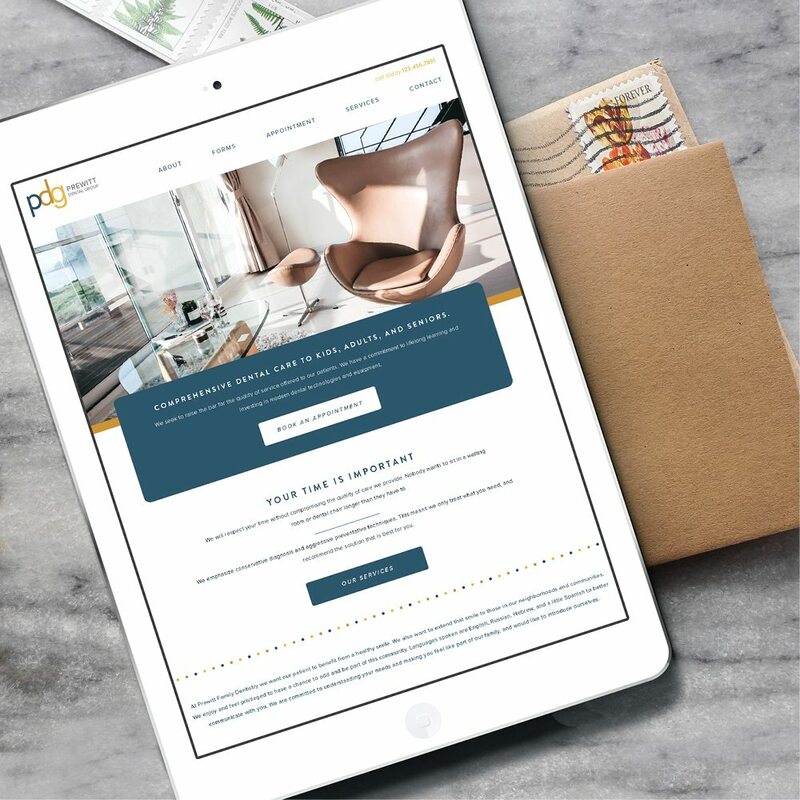 And of course – a new, modern dentist website design, to fit the fresh new identity and provide users an ideal experience in finding necessary paperwork, requesting an appointment and more! Why did you start your business? Dentistry was an easy choice for me: I love working with my hands and I love being around people all day! What is unique about your business? Our team is what makes the machine run, and we have a uniquely gifted group of wonderful people who love what they do, and it shows! What’s on your Playlist? Zac Brown Band, Michael Jackson, Miranda Lambert, Needtobreathe, and Matt Kearney Where do you find inspiration? Other small companies that are run well and make good decisions. I try to learn from their successes and failures. Why did you decide to work with Doodle Dog? Customer service was awesome, and they were flexible with me and my quirky requests. They made it easy for me to understand and helped me accomplish my design goals with wonderful results. Why did you feel the time was right to kick-off this project? My website was not mobile friendly and I was getting complaints. What’s your favorite part of your new site or new brand? I love the simplicity and clean feel of it. What advice would you give to someone considering a rebrand or relaunch? Keep it simple, trust your gut, and then go with it. Is there anything else you would like to mention? My questions were promptly answered, I was really impressed with the designs I saw and am extremely happy with my new website and brand!